To run a successful business it is important to focus on Customer relationship management (CRM). Customer acquisition is costly making it imperative to develop stronger, lasting relationships with your clients. 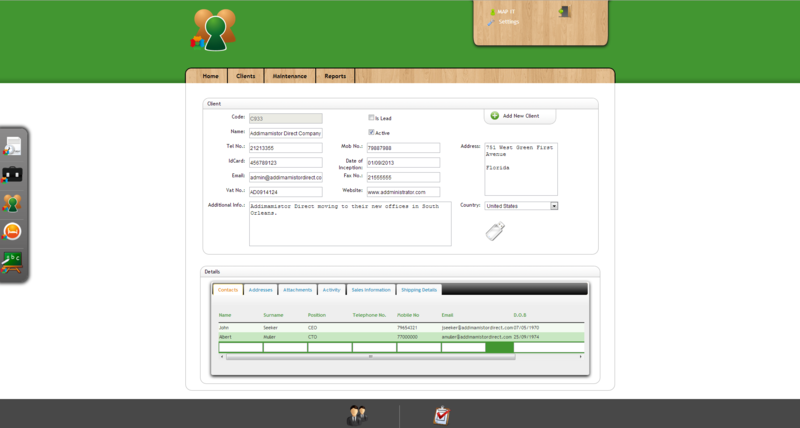 MAP.CRM is a web based software solution for customer relationship management and sales force automation. It helps you track your leads, prospects and opportunities allowing you to focus on what is important - building a relationship with your potential clients.